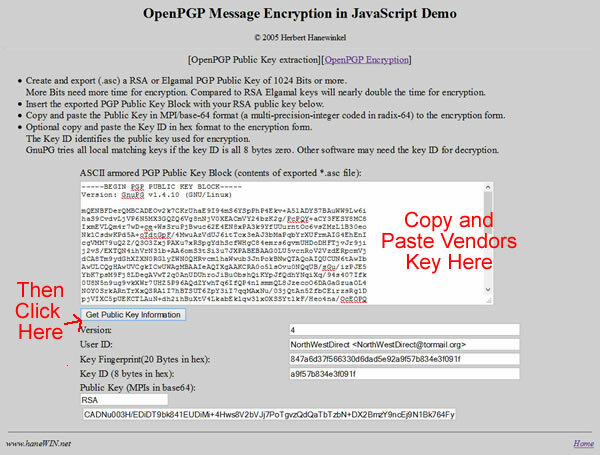 Encryption: Now you will need to encrypt your mailing address to send it to the vendor. Encryption is a process where you can turn a message into a “secret code” that only the end user can read. While you could just type your name and address in the space it is strongly recommended that you encrypt it first! Why? Because it would be possible for Internet snoops (including law enforcement) to read your real name and address! That is a think to understand about TOR. It hides your IP address (your physical location), but it won’t stop you from putting out insecure private information about yourself so be careful! Not every vendor has a public key but most do. 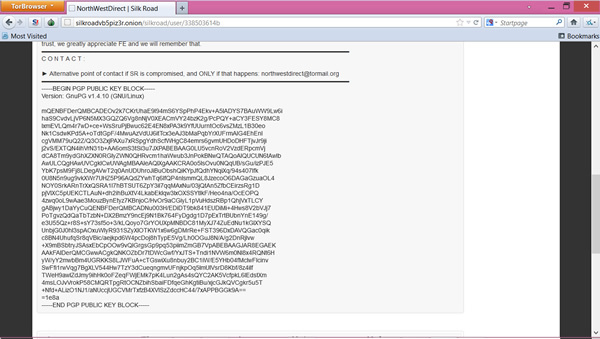 I would never trust a vendor that did not have a public key! What you do here is highlight the public key starting with –BEGIN PGP PUBLIC KEY BLOCK— and ending with —END PGP PUBLIC KEY BLOCK—. Just get the whole thing. Then copy it. Now while keeping this window open, you need to open up a new browser window (or tab) and navigate tohttp://www.hanewin.net/encrypt/PGencode.htm. Now we are going to copy and paste some of the information from the first window to the second window we just opened. First, highlight and copy the numbers in the field “Key ID (8 Blocks in Hex)” on the first page and paste them into “Key ID of Public Key” on the second page. Then copy the numbers in the field “Public Key (MPIs in base64):” on the first page and paste them into the field “Public Key of receiver(MPI in base64)” on the second page. See the below image if you are confused (note you can click on it for a larger image). 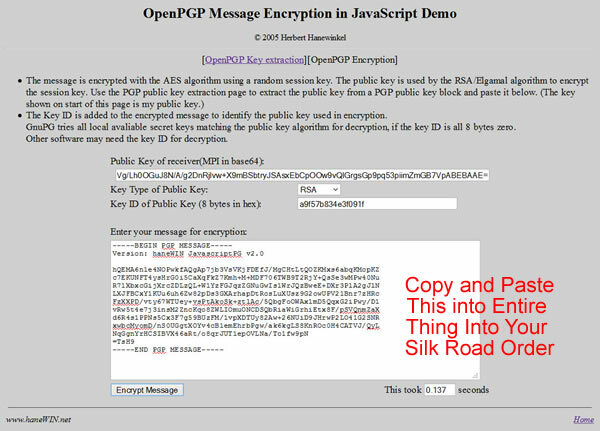 When you have done this type in your message where it says “Enter Your Message for Encryption”. 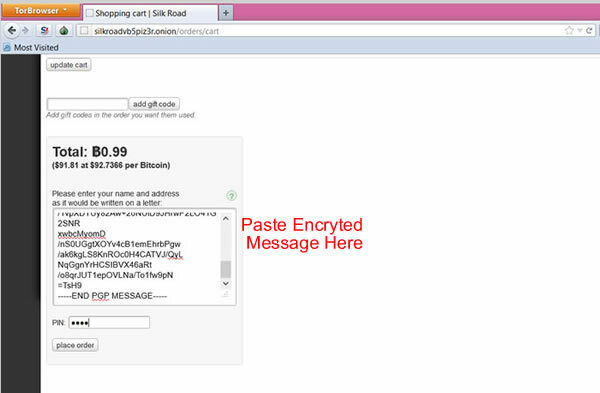 NOTE: Hanewin offers client side encryption, meaning your message is encrypted BEFORE it is sent. 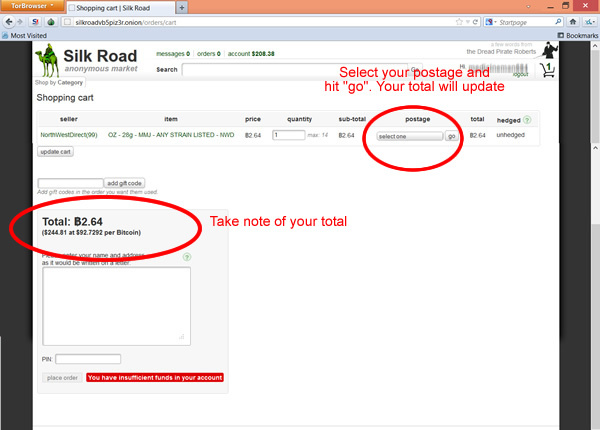 Lesson #4: Buying Bitcoins and adding them to your SR wallet!